The Second Battle of the Masurian Lakes, also called the Winter Battle of the Masurian Lakes or the Winter Battle of Masuria, begins. This battle will last until February 22, 1915. The Second Battle of the Masurian Lakes ends. This battle had started on February 7, 1915. Constantinople Agreement between Britain, France, and Russia, in which these three decided how to divide the Ottoman Empire after its expected collapse. The agreement became void when Russia switched sides and made peace with Germany. The Second Battle of Ypres begins. This battle will last until May 25, 1915. German submarine sinks British ocean liner Lusitania. Lawrence's youngest brother, Frank, is killed in action at Richebourg l'Avoué on the Western Front. Portugal elaborates on its November 23, 1914 decision and elects to grant military aid against Germany. Italy and San Marino declare war on Austria-Hungary. The Second Battle of Ypres ends. This battle had started on April 22, 1915. The First Battle of the Isonzo begins. This battle will last until July 7, 1915. One down, eleven to go. The First Battle of the Isonzo ends. This battle had started on June 23, 1915. The Second Battle of the Isonzo begins. This battle will last until August 3, 1915. The Second Battle of the Isonzo ends. This battle had started on July 18, 1915. Italy declares war on Turkey. 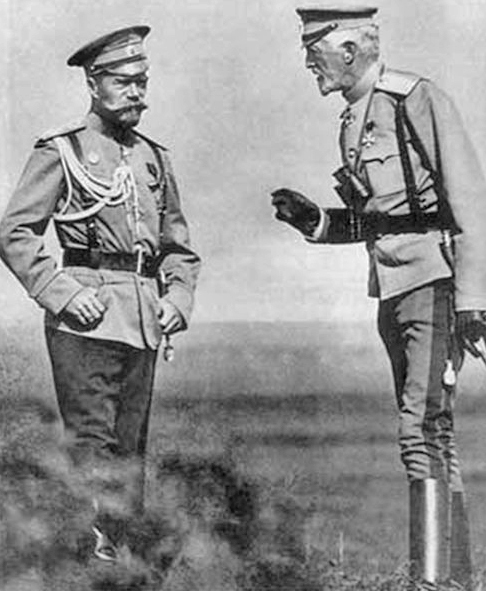 Russia's Tsar Nicholas II sends the Grand Duke Nicholas to pick some flowers in the Caucasus and makes himself Supreme Commander-in-Chief in his place. The Tsar will keep this post until his abdication on March 15, 1917. The Battle of Loos begins. This battle will be over on October 13, 1915. About 60,000 casualties. The First Battle of Kut (Al-Kut) is fought. The Battle of Loos ends. This battle started on September 25, 1915. Bulgaria declares war on Serbia. Great Britain declares war on Bulgaria. France and Serbia declare war on Bulgaria. The Third Battle of the Isonzo begins. This battle will last until November 3, 1915. The new French Minister of War is Joseph-Simon Gallieni. He succeeds Alexandre Millerand. The Third Battle of the Isonzo ends. This battle had started on October 18, 1915. The Fourth Battle of the Isonzo begins. This battle will last until December 2, 1915. The Fourth Battle of the Isonzo ends. This battle had started on November 10, 1915.